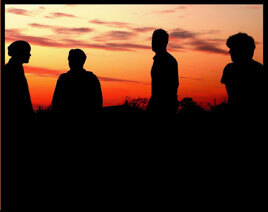 New Sunset Hotel are a four-piece Indie Rock band from Castlebar. The band are fresh on the scene, forming only last August and recording their debut E.P. in Grouse Lodge Studios last November. It is available for download on their myspace page www.myspace.com/newsunsethotel and from www.downloadmusic.ie . In their short time they've been together they have played support to Bell X1 (TF Royal Theatre) and Pete Doherty (The Rhythm Factory, London). This is New Sunset Hotel's first Castlebar Concert and it definitely will not be their last. Castlebar's newest band live and on stage at The Ruby Rooms Session. New Sunset Hotel are supported By Conor Ward and M.G.D. (+) and includes an afterparty with Neil Toner upstairs in The Velvet Lounge.